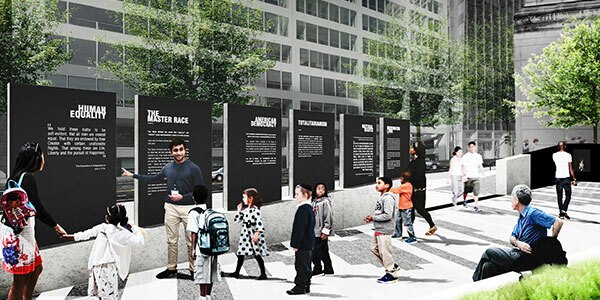 The Horwitz-Wasserman Holocaust Memorial Plaza in Philadelphia is the site of the nation’s first public monument erected to memorialize victims of the Holocaust. The Memorial Plaza includes interpretive features that help visitors to learn about, reflect upon, and remember the Holocaust. 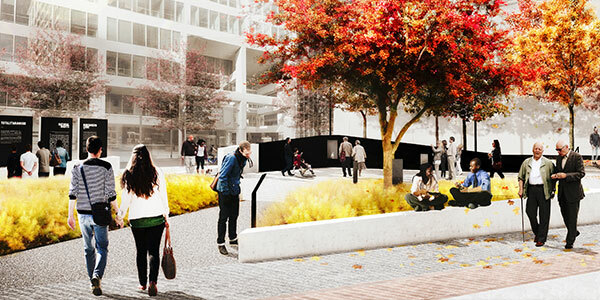 Now open to the public, the Memorial Plaza is a dynamic civic space for remembrance and education. It is open 365 days a year and is free to visit. 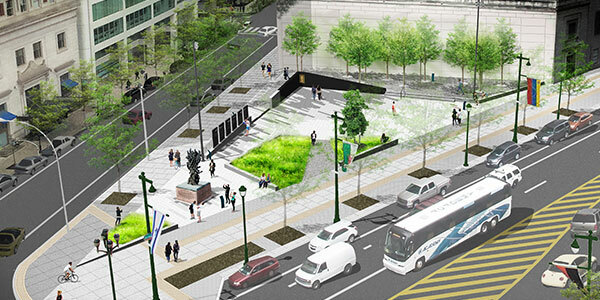 The Memorial Plaza is located at the head of the historic Benjamin Franklin Parkway in the heart of Philadelphia, adjacent to the newly renovated LOVE Park and the City’s central regional transit hub. PHRF is available to provide a limited number of personalized group tours for community organizations and associations with large groups wishing to visit the Memorial Plaza. PHRF also helps educators use the Memorial Plaza as a content resource and living classroom for their students. PHRF and USC Shoah Foundation have partnered with ADL Philadelphia to reach out to Philadelphia-area teachers and provide them with in-person trainings and webinars to help them craft robust learning opportunities and lesson plans.